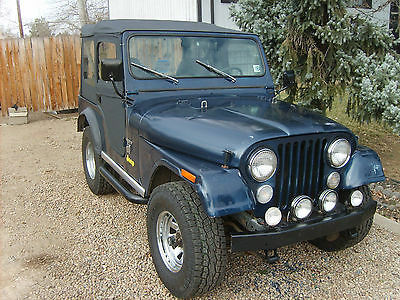 I have a very nice 1982 Jeep CJ5 in Excellent Running Condition. 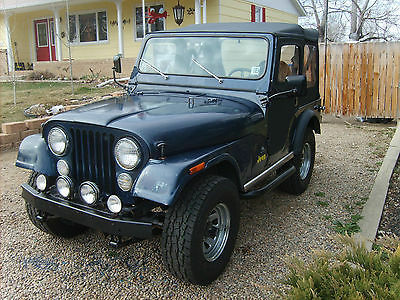 I just spent over $8000 on this jeep in the last 3 months and it doesn't have 50 miles on it yet. Speedometer has 194,000 miles, but the engine has 155-160 compression on all cylinders. I had a new Howell Model JP-1 EFI Fuel Injection System installed with Air Cleaner System, that was $2500 with installation. New Bestop Top, Seats, Seat Belts and New Toyo A/T Open Country 31x10.50R15LT Tires, another $2500 plus installation. New steering gear box, all systems gone through and new fluids, new tune-up, battery, hoses, clamps, wiring, steering column, tie rods, drag link, stabilizer, the whole steering system. New shocks, new mirrors, wiper blades, new heater core, flush differential and transfer case. All gauges, dash switches, and lights are working. Floor boards are rust free, very solid Jeep. I originally fixed this up for my daughter for graduation this year, that's why all systems were gone through so an 18 year old Jeep novice would not get stranded. You will not believe how smooth this starts and runs with the fuel injection. It has programmed itself and has a mind of its own. This is quite an injection system. I have copies of all the work and receipts, and a large packet of materials comes with the fuel injection system. Has the 258 6-cylinder engine, clear Colorado title. The only other thing I was going to do is put a new carpet in, but I'll leave that up to you. Body is in nice condition with a couple small spots that could be touched up. 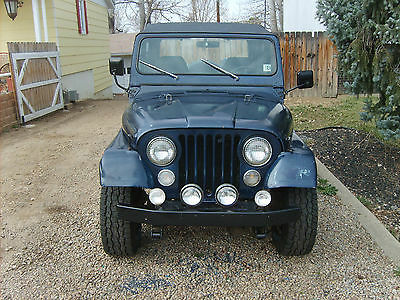 Here's one you can take right to the woods or the road with, great 4-speed 4-wheel drive Jeep. Any questions, feel free to call, 303-507-0045. 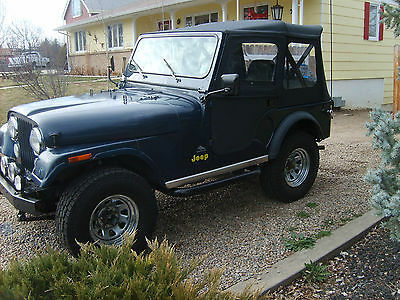 Local pick-up and we are in Longmont, Colorado. Can be loaded easily if you want to have it shipped, or driven home.